= - Eligibility: All public districts and schools with an overall summative grade assigned were eligible. 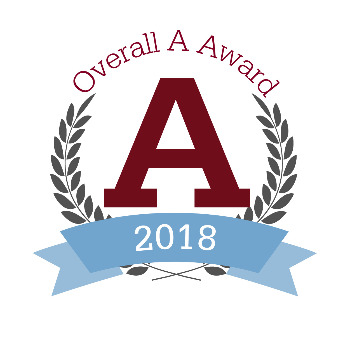 = - Selection Criteria: Districts and schools had to have an overall summative grade of ‘A’ on the Ohio School Report Card in 2018 to receive this award. = - Conditional Selection: The award was subject to the Department’s review of accuracy of the school’s submission of data for the 2017-2018 school year. “Ohio’s strategic plan for education, Each Child, Our Future, is the state’s plan to ensure each student is challenged, prepared and empowered for his or her future by way of an excellent prekindergarten through grade 12 education. Our mission is to prepare students for a future that has yet to be written. Many consider this to be a daunting endeavor. Your education team, however, has clearly embraced this challenge,” stated State Board of Education President Tess Elshoff in an e-mail. “It is a great for Lake Elementary staff to receive recognition from the Ohio Department of Education for their efforts in providing an excellent education for all students. The Overall A Award recognizes Lake Elementary as a high performing school, and they have scored in the top 5 percent in academic achievement for the last several years,” added Lake Elementary Principal Donna Bruner. “I have always been proud of the dedication and commitment that our middle school teachers demonstrate towards their profession. They are constantly striving to increase student achievement. This award is a nice recognition of their efforts. It reflects the team effort of our entire staff,” said Lake Middle High School Associate Principal Brian Reed.